Just what is needed in the depths of Winter to remind us of warmer times. 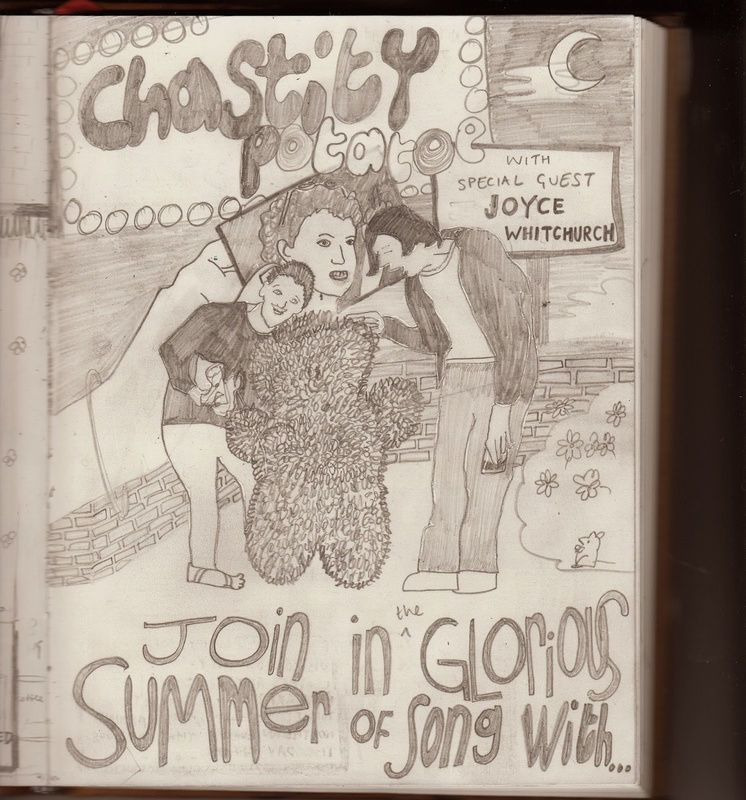 First photographic evidence of the incredible tour comic that Susan made of our Chastity Potatoe/Joyce Whitchurch/Human Heads tour in Holland/Belgium/Germany in the Summer. This is a really insightful and oft hilarious slice of the life touring party. A new comic is forthcoming documenting the trials and tribulations of the CP UK tour in November.